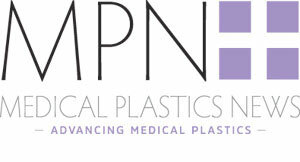 Medical Plastics News Group Editor Dave Gray sat down with Brian Lambton, Corin’s global professional education manager, to discuss Corin’s entrance in to the orthopaedic, robotic market following its acquisition of US surgical robotic firm OMNI. Corin, a UK-based company that according to Lambton, has seen significant growth over the last four or five years, has recently begun working with global investment firm, Permira. Lambton stated that, “in November last year, we bought an Australian company called Global Orthopaedic Technologies (GOT). This is how we began our relationship with OMNI Orthopaedics Inc.” OMNI’s proprietary robotic platform, OMNIBotics, allows surgeons to conduct patient-specific total knee surgery, and designs, engineers, manufactures and distributes a wide range of proprietary hip and knee implants. This imageless knee replacement combines a robotic cutting guide with the world’s first robotic tool to measure ligament function. There is less pain for the patient and faster rehabilitation due to the unique implant positioning for each individual patient. Lambton explained that there is no doubt that materials play an enormous role in orthopaedics. He went on to state how, “over the years we have discovered a lot more about the designs of the implants and also the material itself.” Originally polyethylene was manufactured and stored in oxygen, which Lambton informed was very bad for polyethylene. However, Lambton explained that the way in which we eliminate the free radicals that are left behind has changed. “Previously, the challenges were that either the material is somewhat weak, or you have a material that still has some free radicals in it which are able to oxidise. When this material is put in to the human body, oxygen is dissolved within tissues, and that oxygen can then get in to the polyethylene. He went on to refer to some data from the World Health Organisation which had suggested that if you were a female who had lived up to 50 years old and lived in the first world, you had a 50:50 chance of living to be 100 years old. Lambton raised the issue that, we are operating on some of these people in their 40s and 50s, and therefore what is the expected life expectancy for these people? Addressing the above concern, Lambton mentioned that some incredible work has been conducted by scientists at Massachusetts General Hospital, with regards to developing polyethylenes that include vitamin E as an antioxidant. The antioxidant when included in the polyethylene is able to provide oxidative stability in vivo, and therefore the life span of that polyethylene material will be extended even further. Lambton mentioned how their vitamin E-enriched polyethylene was named ECiMa. In order to make this, “we mix the vitamin E in at the front before it’s consolidated, so it’s very homogenous. We then highly crosslink it with a large dose of radiation to ensure the same level across the material, and then we use a mechanical process to eliminate all the free radicals without eliminating the properties of polyethylene.” In Lambton’s words, “We hope this is the Holy grail of polyethylene. “The key is if you don’t get the implants in the right place, then it doesn’t matter how good your materials are, they will still fail under poor mechanical positioning of the implant. Everything Corin are doing is aimed at combining the very latest technology with the best in material science to achieve the best outcome. Their strategy is to revolutionise orthopaedics and OMNIBotics, combined with APEX knee replacement aims to do this.